Boka works with your body, not against it. We’ve been using the same oral care products without asking for the same accountability we ask for in our foods and skincare products. And while some natural brands tell us what not to use, they don’t offer ingredients backed by science to heal our mouths. We’re setting out to change that because the mouth is too critical to whole body health to ignore. We all now understand that sleep, diet and exercise are essential to wellness. Yet the mouth is the number one source of disease in the body and a huge source of chronic inflammation in many people. Those inflammation and bacteria cells not only wreak havoc on your immune system, but have also been linked to systemic diseases, like Heart Disease, Diabetes, Cancer, and Alzheimer’s. We believe in making more effective products with safer ingredients to have a positive impact on preventive health. You just need to brush for two minutes twice a day and floss every day. Our mission is to cut through the confusion and reveal how simple oral health care can really be with the right products. We believe in going back to the basics. You won’t find unnecessary gimmicks here. Our toothbrushes, floss, and toothpaste are made with high-quality materials that are proven to deliver a comfortable, effective cleaning at a price point almost anyone can afford. Are you a dentist looking to empower your patients to take better care of their teeth? We’d love to work with you. When I was twelve, I began having debilitating stomach pain. Throughout the course of my teenage life, I was prescribed various medications, and I tried them all, but nothing seemed to work. The side effects were almost worse than the pain itself. Years later, as a young adult who had developed a vested interest in “clean living,” I started taking a closer look at how what I put into my body, and how the lifestyle choices that I was making were affecting my health. The presiding philosophy in Western Medicine has, until recently, been to treat disease. Now we’re finally seeing a revolution when it comes to how we approach preventive health. Clean water and oral health go hand-in-hand, but too many people across the globe lack access to both. 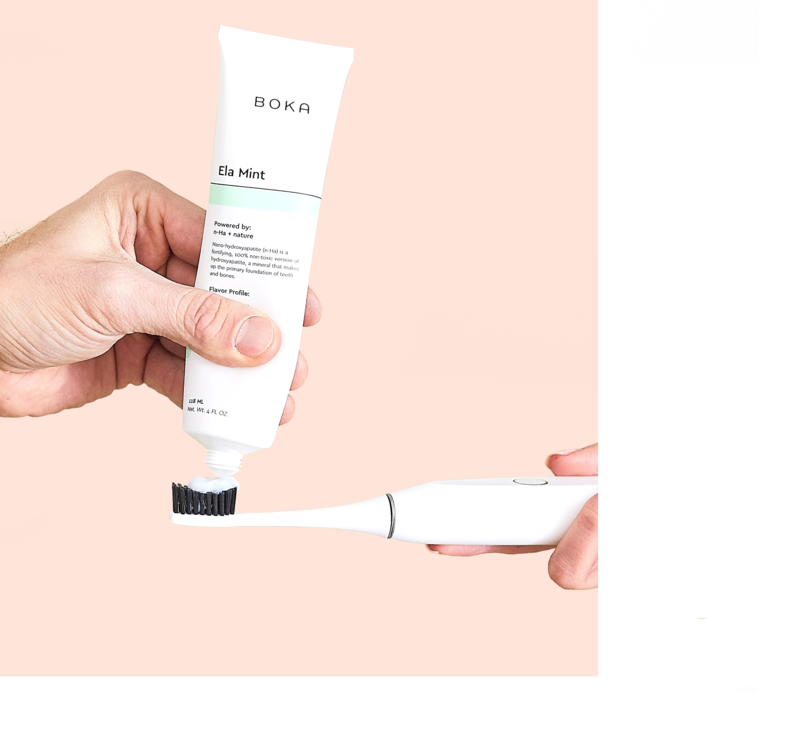 That’s why for every Boka brush purchased we donate a toothbrush to our non-profit partner, Surge. They work hard to bring life-sustaining water to those in need. Together, we’re also providing oral health education to schools around the world.